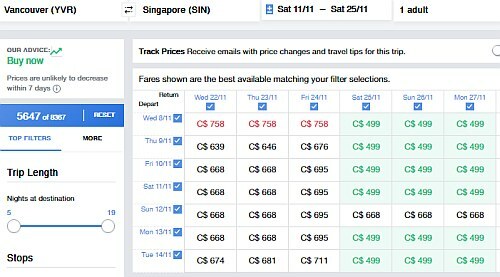 On Thursday, September 14th, Air China is going to be having yet another flash sale to Asia, this time from Vancouver to Singapore for $499 CAD roundtrip including taxes. There will also be $499 flights from Vancouver to Guangzhou, Nanjing, and Qingdao, China. Air China's flights have a stopover in Beijing, China. NOTE: Air China usually releases theses fares around 11:55 PM PST. In other words, you would need to stay up late on the night of Thursday September 14th. Update 9/14 - I'm noticing that the Air China flash sale page for this deal is gone now. Not sure if they still plan to offer these tonight ? 2. Click on the date input box at the top of the page, and try different dates. Try dates between September 2017 and April 2018. Update @ midnight - these fares are now live and bookable through the Air China website. 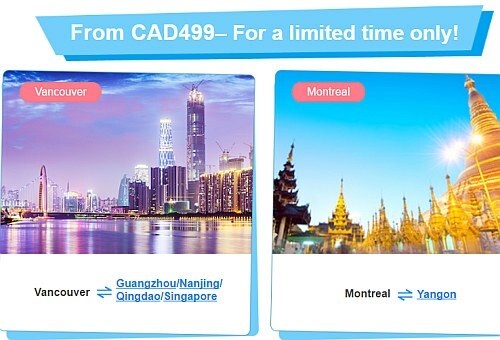 vancouver, yvr, flight deals, asia, east asia, china, guangzhou, can, southeast asia, air china, tao, qingdao, singapore, sin, nkg and nanjing. 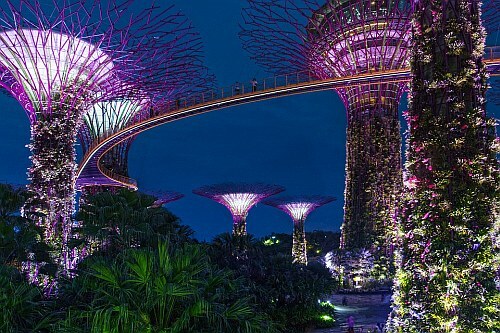 7 Responses to "Vancouver to Singapore - $499 CAD roundtrip including taxes"
For Singapore deal, I am looking for flight in march (from Vancouver to Singapore) and I don't see any deal for CAD 499. They are all in $687.38 or above. I am assuming they are in USD. Am I correct? The sale hasn't started yet. It's an upcoming deal that starts on Thursday. The prices are (and will be) in $CAD. Thanks a lot Chris! Looking forward for the sale. 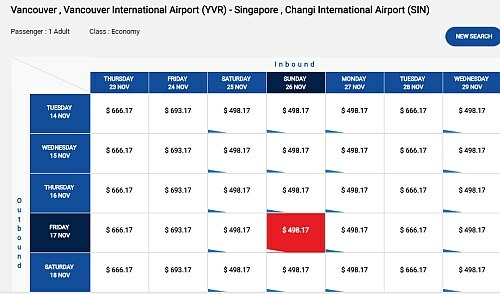 I'm looking at the sale, in Kayak, it says $482 from March 17-25, but once it direct me to air China website, it's $1257.56 for 2! Is $482 in USD or tax wasn't included? Hi June, the sale hasn't actually started yet. It's a little confusing, I know, because the prices are showing up on Kayak a little early. But they won't actually be available for booking at this price until around midnight tonight. $499 CAD roundtrip, and taxes included, is the price that should be available at midnight. Update @ midnight PST: These fares are now live and bookable through the Air China website.